Five firms have received individual contracts worth $46.5M combined to provide geospatial tasks and support services for shared situational awareness and decision making at various U.S. Air Force bases. 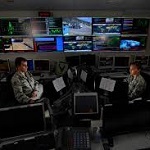 The service branch awarded the indefinite-delivery/indefinite-quantity contracts to Booz Allen Hamilton, Geographic Information Services, KFS, Quantum Spatial Inc. and Woolpert through a competitive acquisition with seven proposals received, the Department of Defense said Tuesday. The selected companies will provide technical assistance, reach-back support and surge capability, among other services, to Air Force bases and facilities across the U.S., including the Headquarters Air Force, main operating bases and forward deployed military personnel. Work under each IDIQ contract will run through Jan. 21, 2024. The Air Force will obligate funding to each company based on individual task orders.